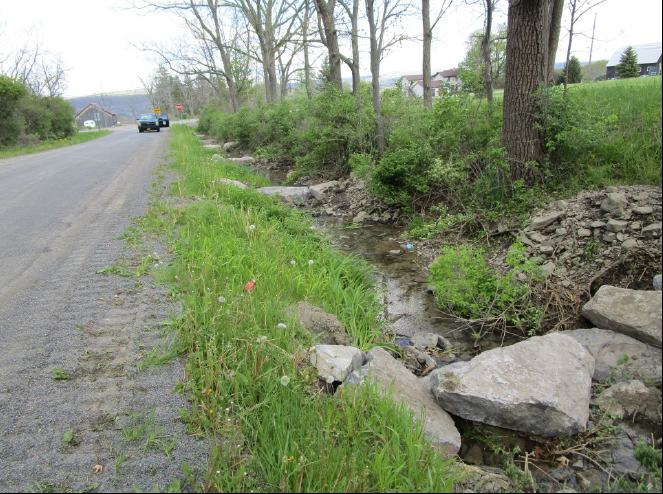 The Schuyler SWCD has been able to work closely with the town, village and county departments on projects throughout the county. The highway departments have been able to provide us with operators, equipment and even help out with the costs of material. 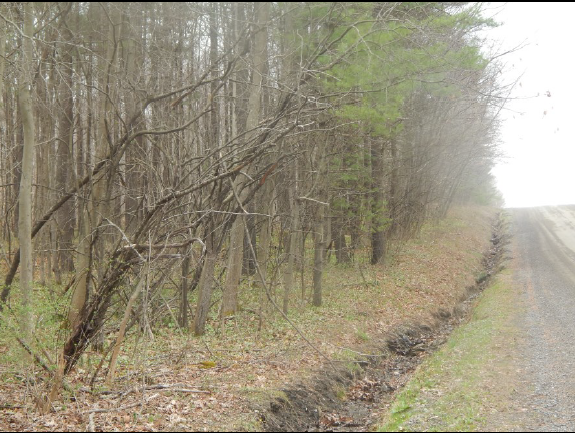 These projects include: road ditch stabilization, hydroseeding, bridge replacement projects, culvert replacement, stream stabilization and more. With the help from the departments, we are not only grateful but pleased to know we have the back-up when needed. Below are just some of the projects that have been accomplished with their help. 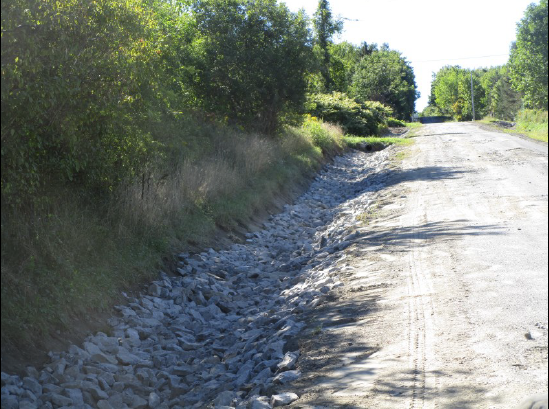 Over 365 tons of rip rap was utilized to stabilize 970’ of road ditch. 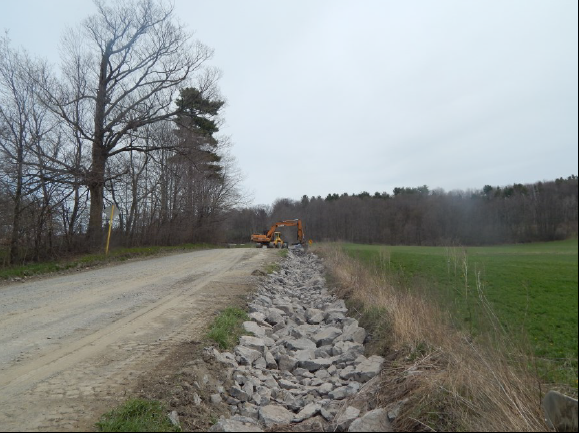 Over 111 tons of rip rap was utilized to stabilize 800’ of road ditch. 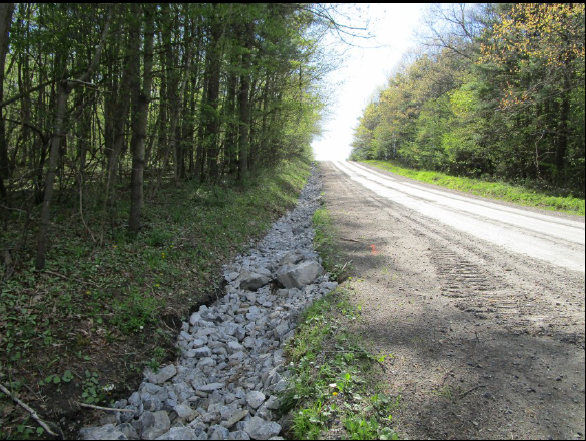 Over 480 tons of rip rap was utilized to stabilize 2,400’ of road ditch. 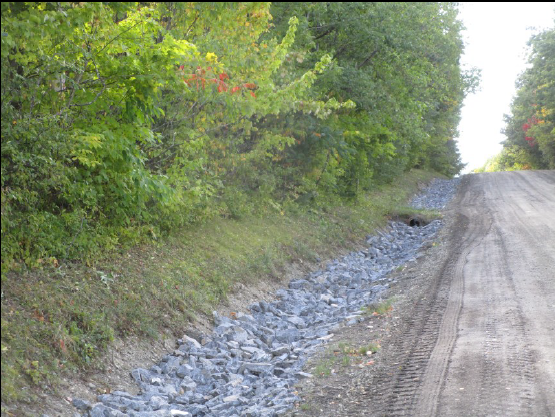 Over 200 tons of rip rap was utilized to stabilize 3000’ of stream. 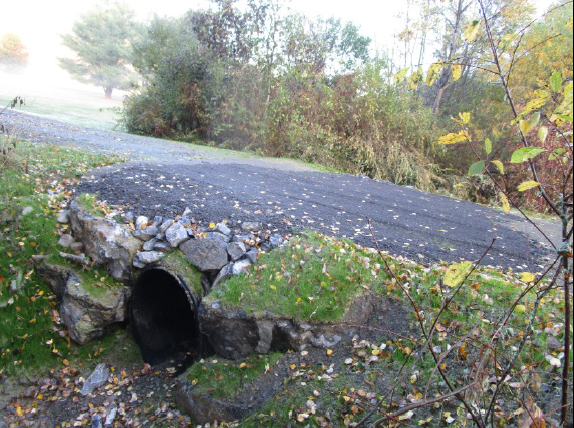 A drainage way culvert that collapsed was replaced. 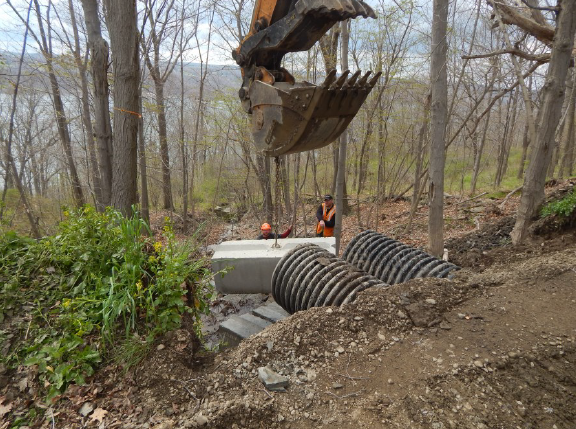 Assisted with a double cross culvert installation. Assisted with rip rap for a culvert outlet extension. Assisted with a drop inlet installation. 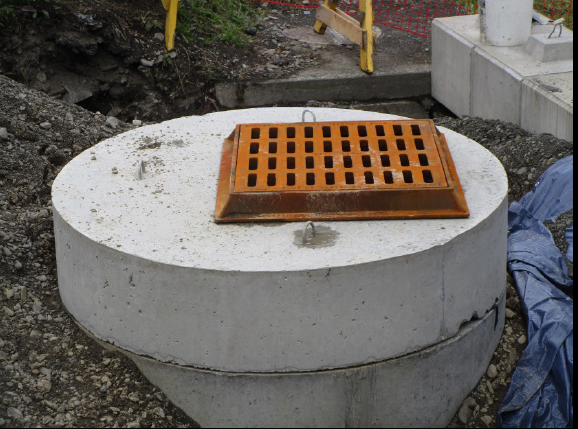 A joint shared services project was completed to replace and upsize a large cross culvert on Pertl Road. 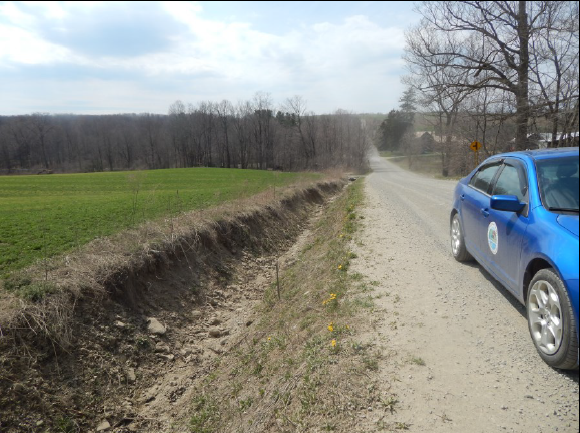 This project was completed with jointly with the Town of Catharine and Town of Hector Highway Departments. We would also like to thank the Bergen Farms for their assistance during this project. 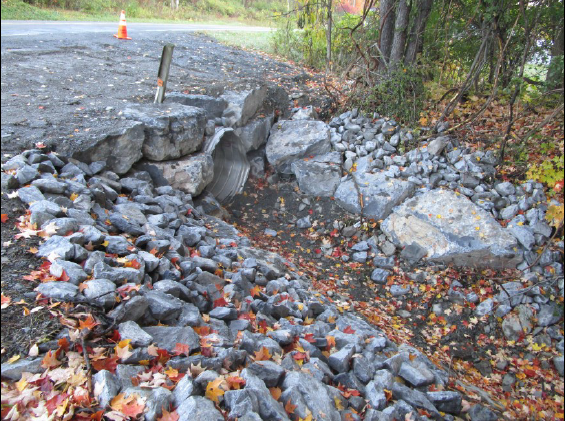 A joint project was completed with the Town of Hector Highway Department to replace a failed gabion wall on a large cross culvert outlet. This failure was causing the road to collapse.